Microsoft has signed an anti-piracy agreement with HP and Samsung to ensure the installation of genuine Windows and Office software on their PCs sold in the Chinese market. 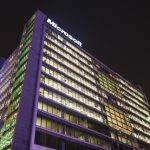 Microsoft previously announced this agreement when the company launched its latest anti-piracy campaign in Nanjing, Jiangsu province. According to the agreement, HP and Samsung will ask their direct channel partners to promote genuine software from Microsoft. In March 2013, Microsoft signed a similar agreement with China's Lenovo, which also makes computing components. Microsoft said at that time that this kind of cooperation will extend the anti-piracy efforts to its downstream sourcing channels so as to restrict and prevent the installation of pirated Windows on PCs. In addition, Microsoft said One Zero, a Chinese information technology brand retailer, also promised to sell PCs with genuine Windows software. Microsoft's anti-piracy campaign has lasted for many years in China. Since December 2012, the company has been promoting a campaign named Keep It Real, aiming to warn the Chinese public about the possible risks brought by using pirated Windows. In addition, Microsoft warned dozens of Chinese PC resellers, asking them to stop using pirated Microsoft software. Microsoft said they recently purchased 221 PCs with pirated Windows for the purpose of research in China, and most of those PCs had security threats. Of the 221 PCs, 54% had malware and 56% had tampered or disabled firewalls. @NoPiracy: your problem is you represent all the interests of these big American businesses. 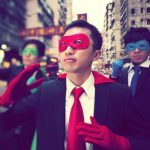 Like MSFT has in the past de facto allowed counterfeit software in China by turning a blind eye and they also have charged Chinese different prices. thereby promoting not allowing Corps to "get away with it" on the one hands and on the other hands you represent them is very bad and looks contradictory.